Emillee Cundiff came through for LaRue County in the circle and at the plate April 16 in the Lady Hawks’ 4-0 win at 5th Region rival Nelson County. Cundiff struck out nine and allowed a pair of singles in her complete-game shutout. She was 1-for-3 with a double for the game’s lone extra-base hit. Presley Brown, Chasity Bryant and Kaitlyn Warnshuis each had one hit and one run. Shakeya Washington had one hit and one RBI. The Lady Hawks lost Friday to Campbellsville, 5-4. 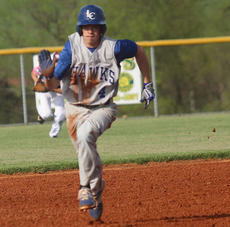 The LaRue County High School Hawks went unbeaten in the Marion County Saving Second Base invitational over the weekend. LaRue County beat Washington County, 4-3 and Allen County-Scottsville, 10-0 on Saturday, and topped Marion County, 5-2 on Friday. The Hawks have won six straight, their second winning streak of at least five games this season. In any sport, the word “discipline” is spoken more often by coaches than any other word. Each and every sport requires a high level of self-discipline. 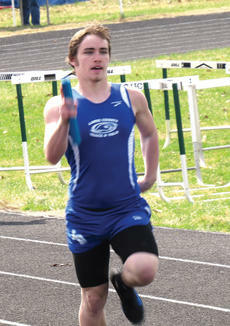 For Randy Young, this quality has become evident over the last several years at LaRue County High School. That self-discipline has paid off in the classroom as well as Young is an outstanding student-athlete carrying a 4.0 grade point average. 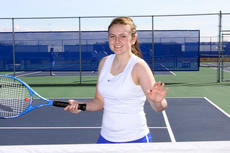 For Karrington Donahue, a freshman tennis player for the LaRue County tennis program, the development of her game comes from her hard work and dedication to the game. The second-year tennis player found the love of the game by attending a summer tennis camp conducted by Coaches Allison McDowell and Terry Caven. 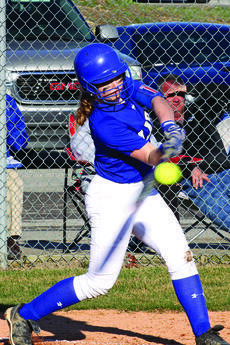 Sophomore Kaitlyn Warnshuis had an RBI double for LaRue County, which has lost 2-of-3. Paige Dabney and Caitlin Bright. Emillee Cundiff and Sierra Mullins. WP: Dabney. LP: Cundiff. 2B: Dabney (C) 2, Kaitlyn Warnshuis (LC) 2, Delany Eastridge (LC). 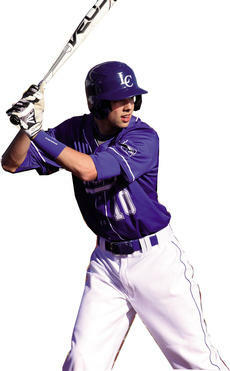 UP NEXT: LaRue County plays at Green County at 6 p.m. Monday. LARUE COUNTY 8, LOUISVILLE ATHERTON 5. Sophomore Cameron Dawson’s RBI double in the bottom of the fifth gave the Hawks (9-5) the lead for good over the Raiders (7-2). Freshman Dane Milby tacked on an RBI double, while senior Turner Cottrell had a run-scoring single in the sixth. Sophomore Matheo Lynn hit a two-run triple in the first, when the Hawks took a 3-1 lead. UP NEXT: LaRue County plays Allen County-Scottsville at 7 p.m. Friday in the Saving Second Base tournament at Marion County. Whether playing baseball, basketball, or golf, LaRue County High School sophomore Cameron Dawson loves competition. Dawson, 16, has pitched from his days in wiener league to the high school mound. On the Hawks’ varsity roster since he was in the eighth grade, Dawson found that competing against older players helped him with command and control on the mound and with his self-confidence. 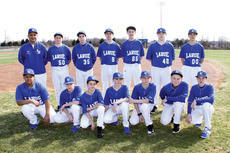 Members of the freshmen Hawks’ baseball team are front from left, Bryson Arnette, Wyatt Pearman, Chase Childress, Zach Newman, Preston Carter, Gavin Nall, Clay Cecil; back, Coach Jorge Venegas, Austin Burgess, Hunter Howell, Noah Davis, Keaton Puckett, Chase Baker and Hayden Waddle. 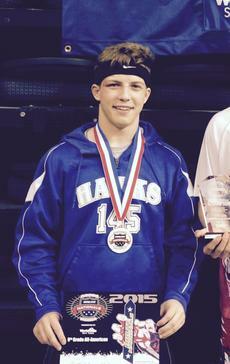 Griffin Dulak, a freshman at LaRue County High School, traveled to Independence, Missouri, for the Brute Nationals Wrestling Tournament. 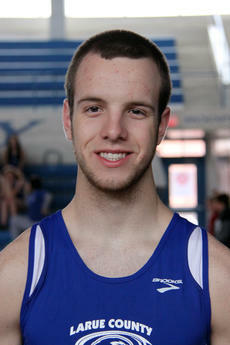 He placed fifth, earning him All-American status. Griffin is the son of Dave and Kathy Dulak of Hodgenville.